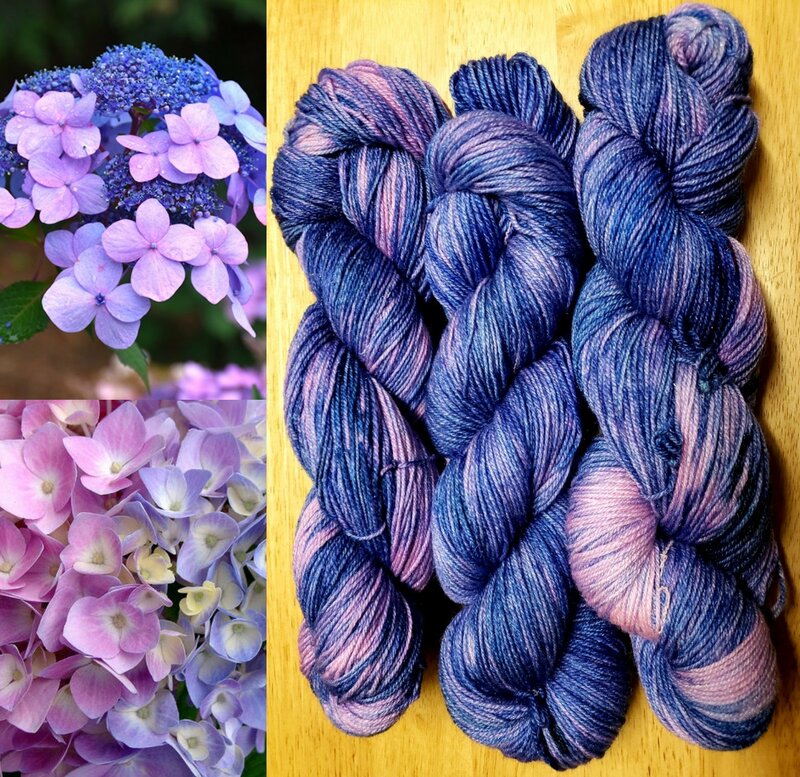 Meet Hydrangea, Alexis' April 2019 monthly colorway. Each skein in this colorway is individually dyed meaning no 2 will be the same. Keeping them as unique and individual as the flowers themselves. The colorway has been hand dyed on a Silk and Silver base consisting of superwash Merino wool, silk, nylon and silver poly. Each at 100 grm and approximately 420 yards.